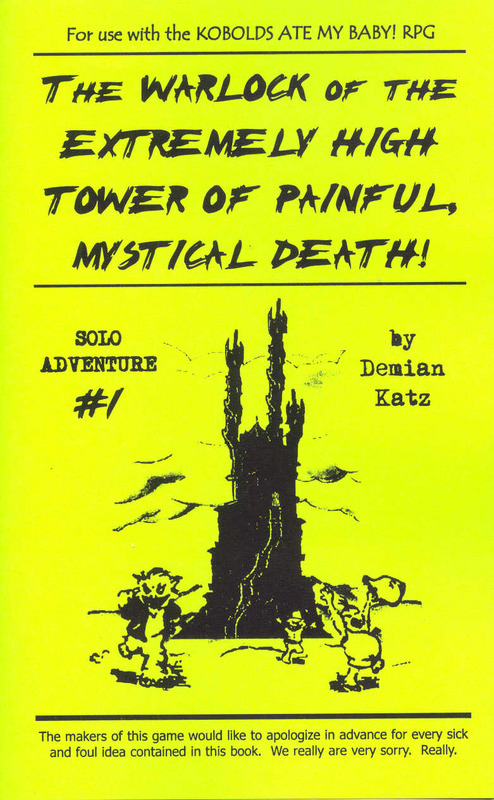 Demian Katz has done exactly what this blog post is about - he has compiled the most comprehensive database on gamebooks ever. You can find this at www.gamebooks.org where you can find information and possibly reviews on any gamebook you could care to think of. You can also create your own haves and wants list so that you can trade in gamebooks. It is for this reason that Demian is a gamebook hero. I have what appears to be a short interview with Demian but that is because most questions I would have asked have already been answered on his FAQs page so have a little gander at that first before coming back to this post, especially if you are a newcomer to gamebooks as it also offers an excellent primer as to what a gamebook is. It's what tabbed browsing was invented for. 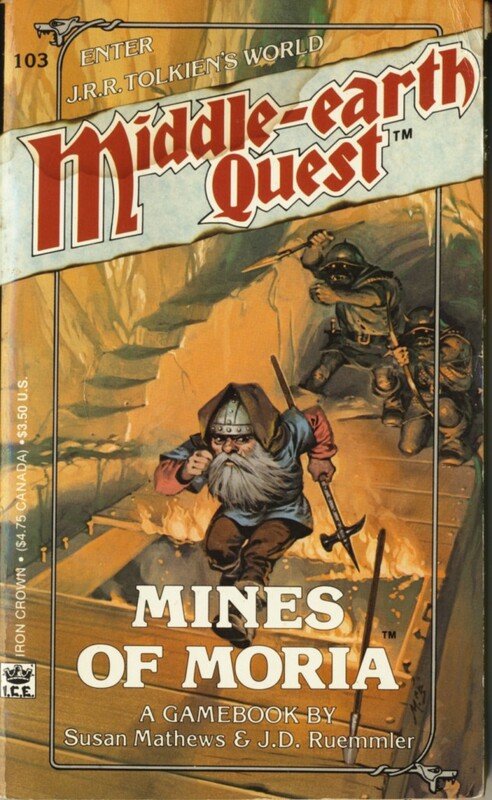 The first "real" gamebook I read was Middle-earth Quest: Mines of Moria... but before that, I read a variety of simpler CYOA-type books. I can't remember exactly which one was first, but I know Which Way: Lost in a Strange Land was an early discovery, along with CYOA: The Abominable Snowman and CYOA: Vampire Express. 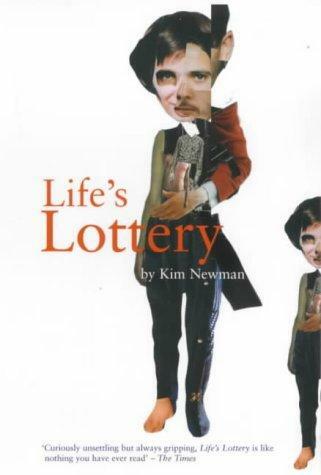 You really can't go too far wrong with Lone Wolf (or World of Lone Wolf, if you want a shorter series); I also recommend Kim Newman's Life's Lottery to everyone who will listen to me. A gamebook is a story with reader choices and multiple endings. Some involve dice. There is nothing more immersive than well-written prose -- even the best game can't have the emotional power of fiction. Of course, a novel is usually a rather linear experience. Gamebooks have the potential of mixing the interactivity and challenge of gaming with the unique strengths of the written word. Granted, it usually doesn't come off as well as it should, but when it works, there's nothing else like it. 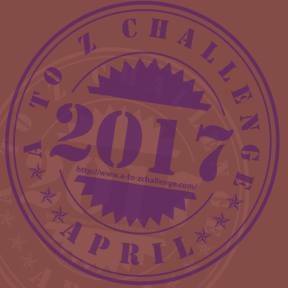 Have you written any gamebooks? I've written two published solitaire adventures for the Kobolds Ate My Baby! RPG, and a handful of silly unpublished things that I might do something with someday. What have you got coming up in terms of your gamebook projects? Not much -- honestly, I haven't had much time for gamebooks lately. I'm looking for volunteer co-editors to help keep my site afloat (email me if you're interested). I'm hoping I might be able to help start some gamebook-related campaigns on unglue.it when that site gets up and running in order to bring them to a wider audience. Do you have any other sites/blogs/twitter feeds besides www.gamebooks.org? Well, my day job involves programming an open source search project called VuFind -- see http://vufind.org. I also have a handful of social media accounts, but I rarely use them. I think e-readers are the best thing that's happened to gamebooks in a long time. The current generation of electronic devices work well with the gamebook format, and I think they'll help spread the form. I'm not sure exactly how I feel about this -- I still have a special fondness for the physicality of paper and dice -- but I think the good outweighs the bad. 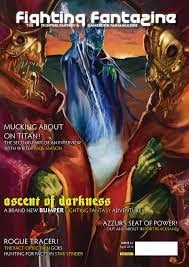 If you haven't already, check out and sign up to www.gamebooks.org. It will enhance your life.